Serving Sandy Spring, Ashton, Brinklow, Ednor and Norwood. a heavy-rescue squad and an ambulance, which became a paramedic unit in 1982. The first two canteens also ran from this station. 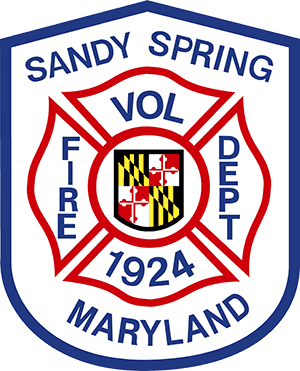 In 1995, seven acres of land were purchased in the 17900 block of Brooke Road in Sandy Spring. In 2000, construction began on the present station, which contains three drive-through bays, ample living and office space, and a rental hall known as the Oak Room. The present Station 4 opened on September 22, 2001. It houses a pumper, a tanker, a medic unit, an air boat, two inflatable rescue boats, and a utility pickup truck. The first-due area includes Sandy Spring, Ashton, Brinklow, Ednor and Norwood.